The Alkaline Reset Cleanse is a different way of thinking about the body and how we can rapidly replenish, heal, and reboot ourselves back to optimal health. The body's number-one goal is to maintain homeostasis and balance throughout our major organs and systems. This balance is based around the Five Master Systems: endocrine, immune, digestive, detoxification, and alkaline buffering (pH balancing). Through our dietary and lifestyle choices, we are constantly putting our body into a state of emergency. It is this constant state of emergency from which sickness and disease emerge. 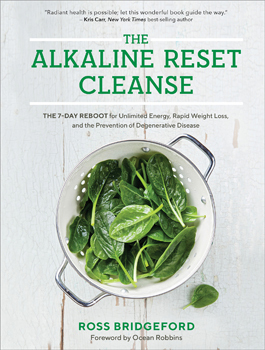 With seven highly nourishing days filled with real, whole foods - specifically selected and planned to make it easy, enjoyable, and energizing - the Alkaline Reset Cleanse will help you to lose weight, restore your immunity, soothe digestion, and give you abundant health.